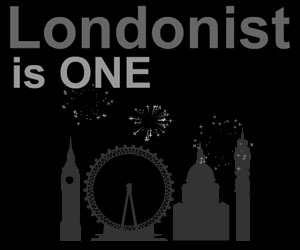 Londonist is one year old this month and we're throwing a massive party to celebrate.. The pary will take place on November 3 at the Offside Bar in Islington. It's absolutely free to get in and as well as all the DJs, dancing and drinking we've organised a few birthday treats for the night. First up is the Londonist Birthday Raffle. We've got a bucket load of cool stuff to give away including an iPod shuffle and a ton of London-related prizes which we'll let you know about nearer the time. To enter the prize draw all you have to do is email us with 'Londonist Raffle' in the subject field and then turn up on the night to see if your name comes out the hat. And if that wasn't enough to tempt you we'll also be hijacking the Offside Bar's big screens for the night in order to display a selection of work from the London Photobloggers group. For around the past 6 months the London Photobloggers have been amassing an impressive library of images of the capital and we thought that the Londonist birthday party would be a fine place to show off the best of those pictures. You can view our classy little eflyer for the party by clicking here (you'll need Flash to view it though). As this is the first party we've had at Londonist it's bound to be a good night, and we'd love to see as many of our readers down there as possible. So until next month, thanks again for reading our site and here's to another year.